To study a new type of paper plastic film laminating product based on PVP and PVA and its related properties. L9 (33) orthogonal test was used to prepare PVP adhesives, in which three factors (levels) were PVP (10, 12, 14%), potassium stearate (1, 2, 3%) and glycerol concentration (8, 10, 12%). With the peel strength of PVP and PVA laminating products as the evaluation index, the optimal amount of PVP adhesive raw materials could be obtained. At the same time, the solid content and infrared spectrum of the adhesive and the thermal shrinkage rate of the laminating product were measured. The optimal amount of PVP adhesive for laminating was: 10% for PVP, 3% for potassium stearate and 12% for glycerin. The solid content of 10, 12, and 14% PVP adhesives were 55, 67 and 75%, respectively, satisfying the requirements for adhesives for laminating. Infrared spectroscopy analysis showed that there were interactions between the PVP molecules and glycerol hydrogen bonds, and the addition of potassium stearate and glycerin improved the performance of the PVP adhesive and enhanced its stability. With being tested by constant temperature and humidity and heat shrinkage, the samples showed no separation, shrinkage, blistering, wrinkling, warping and discoloration, and had excellent stability. In this paper, the optimum raw material dosage of PVP adhesive for laminating was obtained, and paper plastic laminatings based on PVP adhesive and PVA film were prepared. 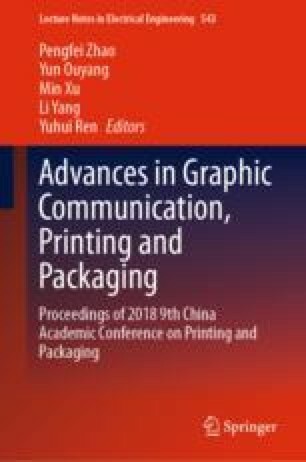 This study is supported by Research on certification and evaluation technology of typical air pollutant prevention and control in electric power, chemical industry and printing industry (2017YFF0211803), the General Education Reform Project of Beijing Institute of Graphic Communication (22150116007/031) and Packaging Engineering Teaching Team (construction) of Beijing Institute of Graphic Communication (22150116006/017).